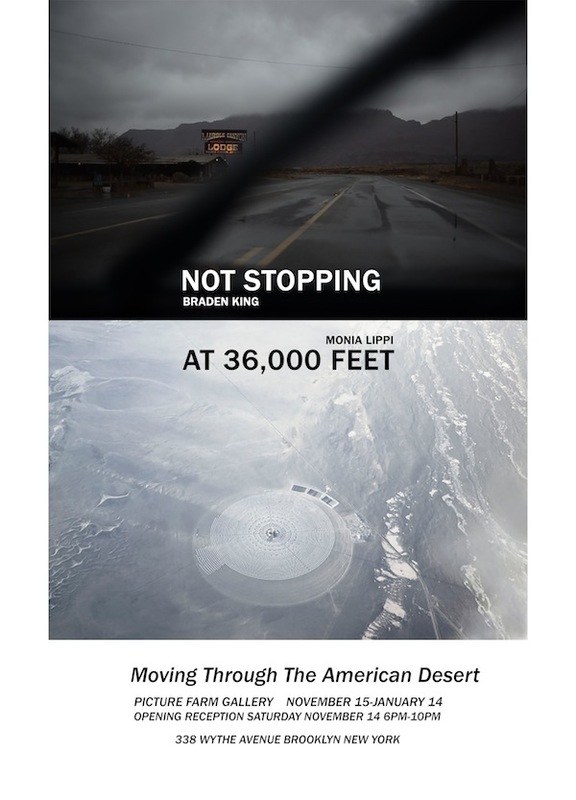 Picture Farm Gallery announces a winter exhibition featuring photographic work from Braden King and Monia Lippi on the Southwestern United States Desert. The images from Braden King’s series “Not Stopping” follow his travels through the hidden throughways of the American Southwest. His moving vantage point, peering along the creviced seams of the National Highway System, captures the darkly stark places we inhabit in between here and there. Monia Lippi’s series “At 36000 Feet” is an ongoing project of aerial photographs of the Southwestern United States desert landscapes. Images of ancient geological formations and modern human traces, where abstract beauty of immense spaces, crossed by salty valleys, lines and points, and new high-technology forms, seem part of a futuristic place in a contrasting, mysterious time. The show opens with a public reception on Saturday November 14th at Picture Farm Gallery in concert with a third voice of the American experience, a one-night screening of JR’s “Ellis” in the gallery space. King & Lippi’s work will be on show through January 2016. Special thanks to Alex Zafiris for curatorial support. Picture Farm Gallery is proud to present ELLIS a film by the iconic street artist JR, the evening of November 14th 2015. 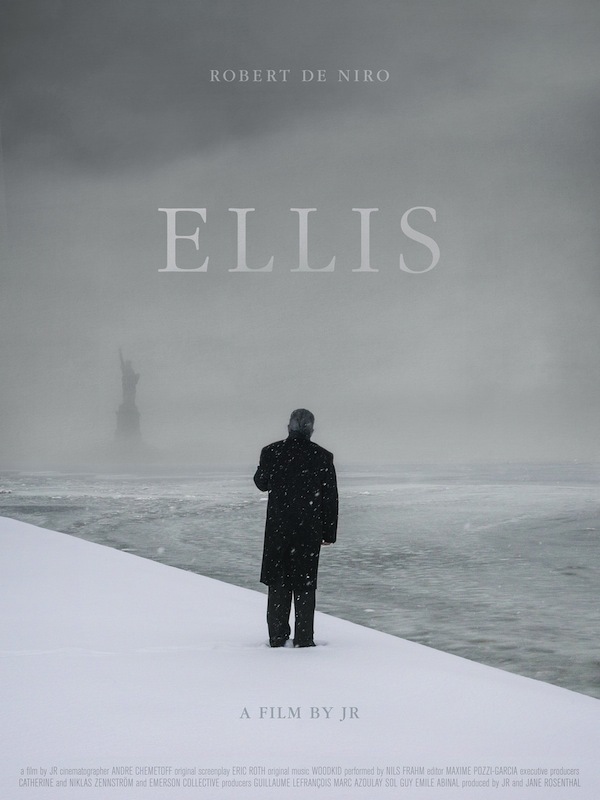 “ELLIS awakens our collective memory, taking you back to the early years of Ellis Island through the experience of one immigrant. Set in the abandoned Ellis Island Hospital complex and using JR’s UNFRAMED art installations, ELLIS tells the forgotten story of the immigrants who built America. It is the story of the ghosts of our countries past, the individuals who fled poverty, discrimination, and dictatorships, for a chance at a new life and eerily foreshadows the plight of those who currently seek the same opportunities and safety in this country and other parts of the world.